Cory Wade, the first out gay male contestant on America’s Next Top Model, tells us how to succeed in business by really trying. Being an artist requires you to have a vision. Sure, you need talent, but in order to achieve that vision, you really need courage. Fortunately, Cory Wade has vision and courage in spades. Still, his journey to the top has been anything but smooth. After starting in the theater, he moved into the drag scene, which quickly transitioned into a successful modeling career — and led him to become the first out gay male contestant on America’s Next Top Model (on Cycle 20, billed as Cory Wade Hindorff). Although he was criticized for being too effeminate, his androgyny and gender-fluidity set him apart from the other male models on the competition, and led to gigs modeling both men’s and women’s fashions after the series ended. 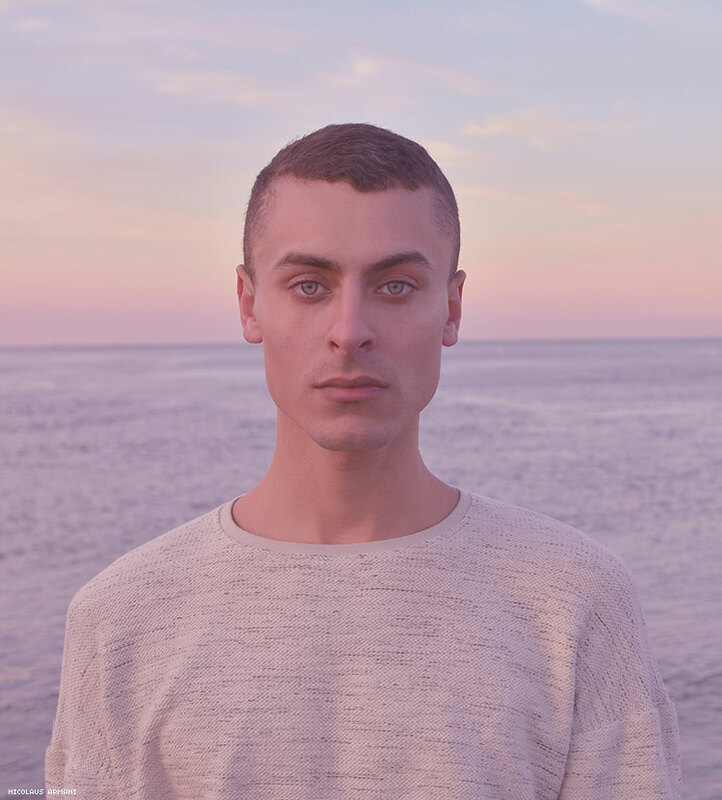 He took advantage of the Top Model visibility, releasing a single — “I’m Sorry,” a track he wrote and also played guitar on — and landing a role in a New Jersey rendition of the musical Rent. Since then, Wade has become a designer whose recent collaboration with the luxury brand Balitello is merging the worlds of fashion and activism. It’s the kind of partnership Wade has crafted his whole life, even though he hasn’t always been aware of it. By middle school, Wade already knew he wanted to make a positive impact on the world, he just didn’t know how. Fortunately, he found a role model right in his living room — supermodel Tyra Banks. Living fearless isn’t just about choosing one’s own clothes or having a fierce runway walk. It’s also how you carry yourself as a business person. Wade’s partnership with Balitello is a perfect example of what happens when passion meets opportunity. 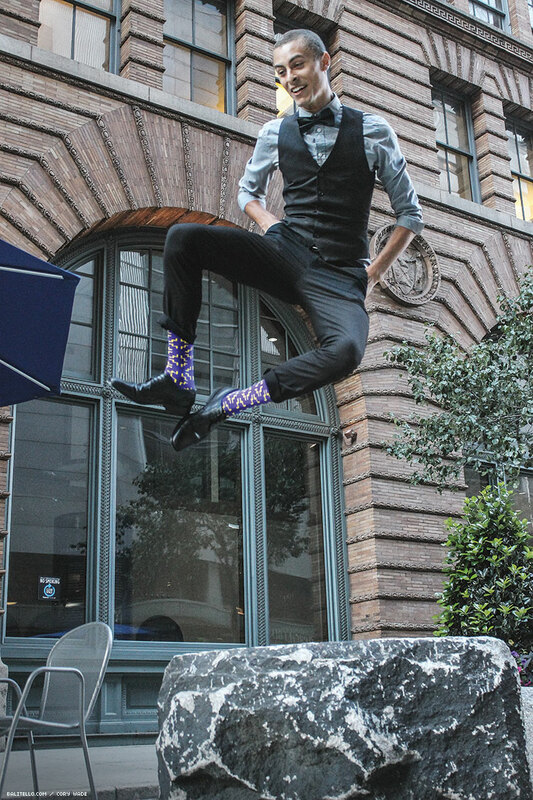 Balitello is a sock-of-the-month club that features high performance dress socks. The company’s cofounder, Robert Baldino, reached out to Wade shortly after the massacre at Pulse, the LGBT nightclub in Orlando, Fla., where 49 people were killed and 53 wounded, most of them Latino. 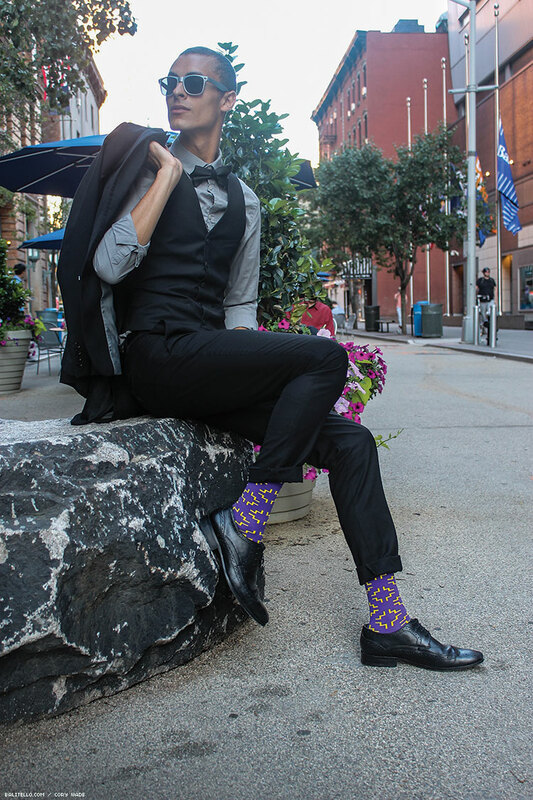 Baldino and his colleagues wanted to create a custom sock design to fund charitable causes within the LGBT community. As far as maintaining his brand, Wade has no desire to veer away from the path he’s worked so hard to keep. In fact, when it comes to being an out queer person working with a group of cisgender, straight men — or trying to please a straight clientele — he says the secret is all about honesty. In a sense, one’s brand is their life’s imprint. It’s what people think of when they think of you, and as Wade says, it’s worth more when the decisions you make are authentic and honest. It’s been three years since Wade appeared on Top Model, but the impact is still palpable, as reruns air in 186 countries around the world. “Young people around the world [have] been affected by what I’ve done — that just blows my mind.” His visibility has come with a certain responsibility too, one that Wade says weighs “heavy on my heart.” One of the LGBT youth who reached out to Wade was a boy from Russia. He sent Wade a private Twitter message from a computer at his public library. Wade hopes to share his love of music and artistry with a world that could still use a lot more LGBT visibility.